Air filters are sight unseen but they play a vital role in your vehicle! There are two types of filters. One for the engine and the other is for the cabin compartment. Engine Air Filter helps prevent harmful debris, dirt and contaminants from entering your engine. 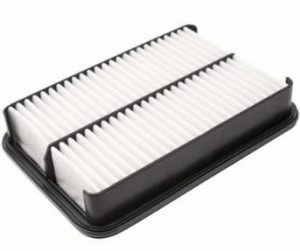 The Cabin Filter, started appearing in vehicles around 2002, it helps prevent dust, pollen, dirt and other pollutants from entering your car through your A/C, heat and outside air vents. 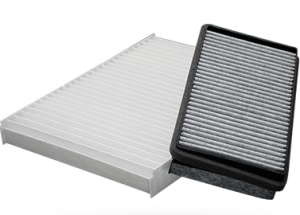 Both types of Filters are important to you and the vehicle’s performance. All climates have their own level of contaminants in the air. The desert environment happens to be the worst. The engine filter housing could end up being a mini sandbox if you don’t change the filter often. Change and or clean this filter twice a year minimum in the southwestern states. IF you drive over 20,000 miles per year a 3rd change is recommended. IF the engine can’t breathe or excessive dust and dirt enter into the engine the results could be very expensive. The new air filter is quite less expensive to maintain. A dirty engine really effects a vehicle’s fuel mileage and the longevity of your engine. Also consider a fuel filter change once a year as well. The Cabin Filter is designed to prevent outside allergens and dust from entering through your vehicle’s air vents. This filter’s sole benefit is to keep the air that you breathe inside the vehicle clean. They are engineered to capture a bunch of stuff from the air, such as pollen, dust, mold spores, smoke, soot and smog. None of which are healthy for you and your passengers. Big G Auto has the diagnosis equipment to handle your Desert Climate Vehicle Services at a competitive price in Nevada communities of Henderson, Green Valley, Tuscany, Lake Las Vegas, MacDonald Ranch, Anthem and Boulder City. Thank you for considering us for your next Desert Vehicle Check Up! This entry was posted in American Made Vehicles, Antique Vehicles, Big G Auto Repair, Custom Vehicles, Import Vehicles. Bookmark the permalink.